Our primary service is installing and maintaining containers that enhance the beauty of your outdoor space, on either a seasonal or year-round basis. Our service area includes the communities of Mission Hills, Leawood, Overland Park, Prairie Village, Westwood and other communities in Johnson County, KS, as well as Sunset Hills, Loch Lloyd and other parts of Kansas City, MO. 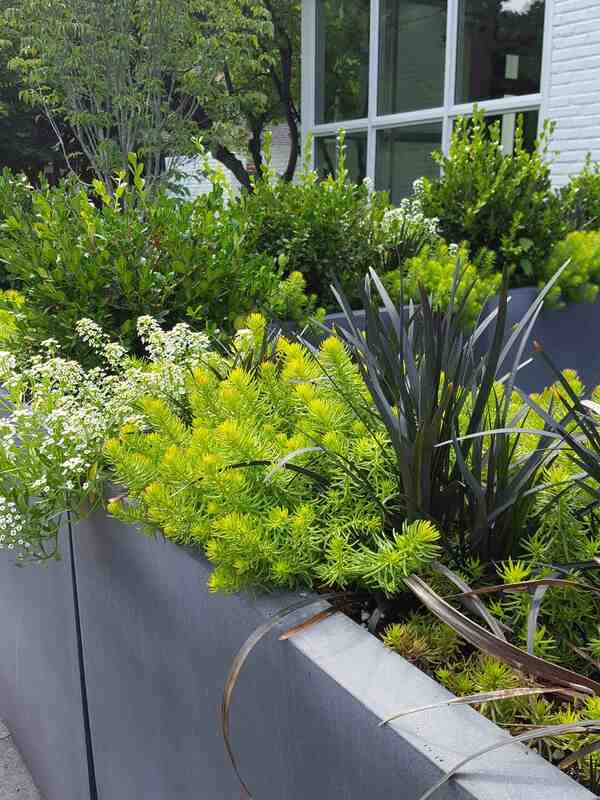 Pricing is based on the number of planters at your location, and includes plant therapy visits – including watering support as needed – charged on the basis of time and materials. Our other services include plantings and planters for special events, as well as presentations on container gardening topics for garden clubs and other private groups. Everything just looks great! Thank you so much for all your hard work and creativity! –Mary S.